Built in 1769. The First Parish Church/East Derry Meetinghouse has stood proud atop a hill in East Derry NH for 246 years. 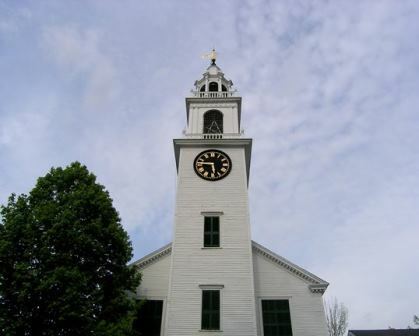 As the Church approaches it’s 300th anniversary, the time has come to restore the building from the wear and tear of daily use and the the toll that New England weather has taken to this beloved and historic building. Our recently completed Capital Campaign has put us well on our way to to restoring our beautiful building and our affiliated 501(c)3 (pending) organization Friends of the Meetinghouse at First Parish seeks to bring the campaign to the public in order to finish this amazing restoration and maintain it for years to come.